A securities lending is a contract by which a lender temporarily transfers a given quantity of a given security to a borrower, in return for the latter's commitment to return the securities either on a predefined date or at the request of the lender, and the payment of a compensation based on the value of the securities lent. In order to protect against counterparty risk (in this case the risk of non-return of securities lent), the lender generally also requests the payment of a guarantee or collateral, either in securities or in cash. The amount of this guarantee is subject to the market value of the securities lent through periodic margin calls during the life of the contract. 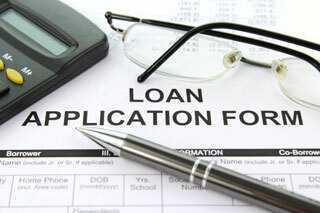 In the event of payment of a cash guarantee, the lender pays interest on the cash deposited by the borrower. In this case, the profit generated by the transaction for the lender also comes from the difference between the rate he pays to his borrower and the rate at which he can reinvest the collateral received. It is important to note that legally there is a transfer of ownership during the term of the contract, from the lender to the borrower for the securities loaned, and in the opposite direction for the collateral paid. As a result, the borrower receives the income (dividends and coupons) generated by holding the securities during the term of the contract. Similarly, he participates in any corporate action that occurs while he holds the securities. However, the terms of the contract generally provide for a sharing of income and rights related to the holding of the securities between the lender and the borrower, the latter then being obliged to return all or part of the income received to his counterparty. As a result also, the borrower of the securities also has every right to re-lend or even resell the borrowed securities. His only obligation is to be able to return the same quantity (and the payment of his remuneration) to his lender at the end of the contract. In terms of risk, the fact that the borrower is required to return the same quantity of securities, but not the initial value of the securities lent, also means that the initial owner of the securities continues to bear the market risk associated with these securities, even while they are lent. The offer on the securities lending market comes mainly from investors, insurance companies, pension funds and UCITS, which hold large portfolios invested over a long period of time, and seek additional profitability through the loan of their securities. Demand comes from actors motivated by various purposes: to cover a short position, to temporarily transfer ownership of securities or even meet a financing need. Initially, securities lending and borrowing allowed (and still allows) brokers/dealers to hedge short positions arising from delays between the receipt and delivery of their transactions (fail coverage). Today, short selling and therefore having to borrow securities is often part of a more complex arbitrage strategy to take advantage of shifts or expectations in market trends (see hedge funds). The fact that there is a transfer of ownership from the lender to the borrower also creates trading opportunities. This is called "opportunity" trading. The opportunity in question may be linked to tax considerations: in dividend periods, holders of securities subject to a withholding tax try to lend them to other non-taxable or less taxable actors. The terms of the contract allow for a sharing of the generated saving. The opportunity may also come from certain corporate actions: for example in the case of payment of dividends in shares, holders who can not take this option, because they are funds and the composition of their assets would no longer comply with their management constraints, will lend their shares in order to participate indirectly in the transaction. The borrower, holder of the right to the corporate action, receives the new shares and resells them immediately with a profit. Again the terms of the contract allow for a sharing of profits between the lender and the borrower. However, it should be noted that opportunity trading in securities lending and borrowing must comply with a fairly strict legal framework. Both parties act within the limits of a legal agreement (see below), which they have previously signed, and which may or may not authorise them to certain transactions. For example, the French AFTI contract (French Securities Association) does not allow the setting up of securities lending and borrowing during dividend or corporate action periods on the relevant security. Trading under this contract is therefore limited to hedging short positions. However, contracts under Anglo-Saxon law such as the Overseas Securities Lending Agreement (OSLA) allow this. Finally, it should be noted that in terms of financial flows, a securities loan (type of contract where the negotiation first of all concerns the security lent), secured by cash collateral is very similar to a repo (repurchase agreement), a type of contract based in principle on a cash demand. In this context, the difference between the two products becomes blurred, and we can see actors intervening on securities lending for a financing need (using cash collateral received) or repurchasing very specific securities under a repo agreement. The securities lending and borrowing market is essentially an over-the-counter market, where the initiative comes from borrowers, who canvass potential lenders to obtain the securities they are looking for. However, some custodians or central security depositories set up automatic lending and borrowing systems to prevent failed deliveries and thus ensure the successful completion of operations. Also, electronic trading platforms, such as Equilend, are also developing that allow lenders to "publish" their lendable positions, or to automatically generate deals by matching offers and requests from participants. Since this is an OTC market, intermediaries play an important role. They may act as agents or as principals. The agent connects the final lenders and borrowers, and receives a commission on each contract negotiated. Often it also calculates security deposits and margin calls, and holds collateral securities (triparty agent). The intermediary acting as principal is interposes between the lenders and the borrowers: it borrows the securities from the former and lends them to the latter, becoming the sole counterparty to both. This solution is often preferred by lenders, who do not wish to deal directly with certain counterparties with a high risk profile, such as hedge funds. Trade date: this is the date from which the parties are committed. Start date / value date: this is the date on which interest starts to accrue. In most cases, it is agreed that the contract begins with the actual transfer of the securities. End date: this date may not be specified, in which case the contract is called "open". The return of securities is at the discretion of the parties (either the borrower no longer needs them or the lender wishes to take them back). Trade price: the price of the security used to calculate the remuneration. The price may be fixed over the life of the contract, or more often periodically revalued in correlation with the evolution of the price of the security on the market. Haircut / margin: applying a margin on the underlying security, or a haircut on the collateral means that the valuation of the collateral must exceed the value of the securities lent. This method is used to hedge against significant fluctuations in the value of the security. Pricing method: refers to the revaluation method of the price of the security: fixed, it is the price recorded on the day of the negotiation which applies throughout the life of the contract, variable, the price is revalued daily. Trade currency: may differ from the currency of the security; it is the currency in which the borrower will pay the remuneration to the lender. Rate value: this value may be fixed throughout the duration of the contract, or may be subject to modification by bilateral agreement. Minimum fee: the minimum amount of remuneration paid by the borrower. It is a kind of lump sum: if the calculated remuneration is lower than this amount, it is the one that applies. The minimum fee covers the minimum cost incurred by the lender (mainly operational costs), in the event that the borrower returns the securities after a too short period of time. Contract-related: a collateral amount is calculated for each contract during revaluation processing. In a pool: the revaluation process globally revalues all contracts with a given counterparty and deduces the amount of collateral to be allocated globally. Method of taking dividends or coupons into account: during the negotiation, the procedure to be followed in the event of payment of dividends or coupons occurring during the life of the trade is agreed. Either the lender of the securities would recover them before the payment date (the trade is then called "callable"), or the borrower will be able to receive the income from the corporate action, in which case he will pay it back to the lender after deduction of the tax (dividend requirement). When the transaction is set up, the lender delivers the securities to the borrower. This delivery is often Free Of Payment (FOP), i.e. without simultaneous cash transfer. However, if the transaction is secured by cash linked to the contract, the implementation can be carried out in the form of Delivery Versus Payment (DVP). This method has the advantage of guaranteeing both parties against delivery risk. During the life of the trade, the contract may be subject to price changes (re-pricing or marking) - with the frequency defined at the start of the loan, and rate changes (re-rating). Changes in rates are not made at regular intervals, but by bilateral agreement between the two parties. It is possible to make partial returns of the securities, either because the borrower no longer needs all of the securities or because the lender wants to recover part of them. The trade then remains open on the residual quantity. The trade is finally closed when the loaned quantity is returned in full. The trade is closed by agreement between the parties in the case of an "open" trade or on the date initially planned otherwise. Collateral management: every day, trades are revalued at market price, as well as collateral if it consists in collateral securities. A margin call taking into account any haircuts (on collateral) or premiums (on trades) is calculated and exchanged between the two parties in order to cover these fluctuations. If the collateral is managed in a pool, this margin call also covers variations in the quantities lent due to newly set-up loans and to the returns of the day. If a dividend payment is made during the life of the trade, it is received by the borrower and returned to the lender after deduction of the tax due. Similarly, any corporate action occurring during the life of the trade is the subject of exchanges between the two parties, knowing that it is the borrower who will participate in the corporate action, in accordance with the instructions of the lender. Invoicing: Generally, interest starts to accrue from the time the new loan is settled, i.e. the securities have actually changed hands. The payment of the remuneration can be made at the end of the trade, or more often at the end of each month. The settlement dates of new loans and returns may differ. The application dates of rate changes may differ. Each difference requires first of all investigations to decide who is right. Then it is necessary to enter the corrections in the information system and re-run the invoicing until an agreement is reached. Read "An introduction to securities lending" from Mark C. Faulkner.